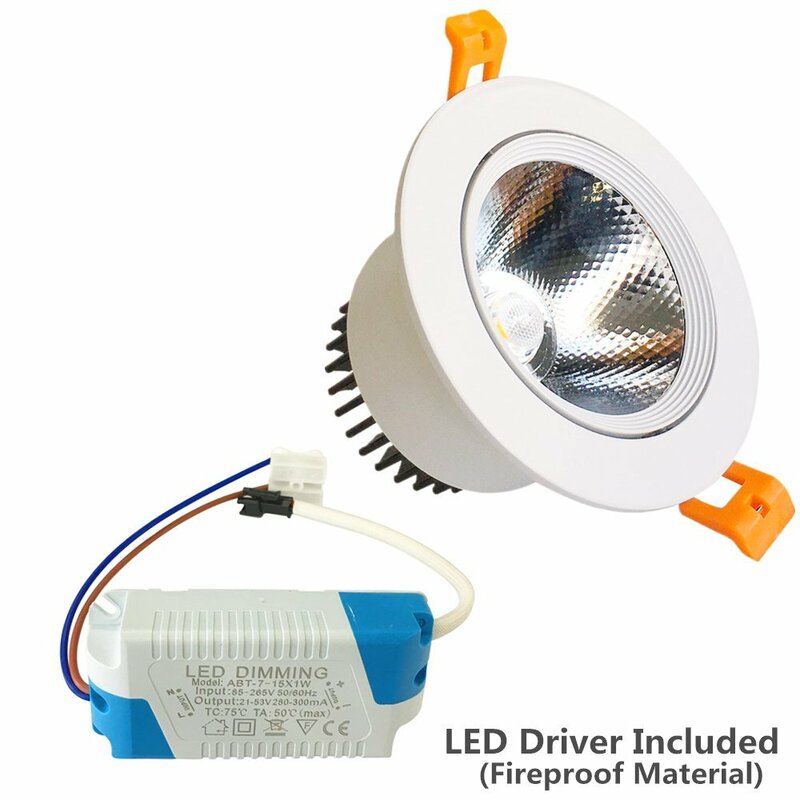 l BASIC PARAMETERS: Dimmable, Dia.4.3in(109mm), Cut out Dia.3.35in(85mm), Directional 60 beam angle, White Trim, Directional Adjustable, CE RoHS FCC Approved, 9W COB spotlight, COB integrated chip, Driver Included, working with line voltage directly. 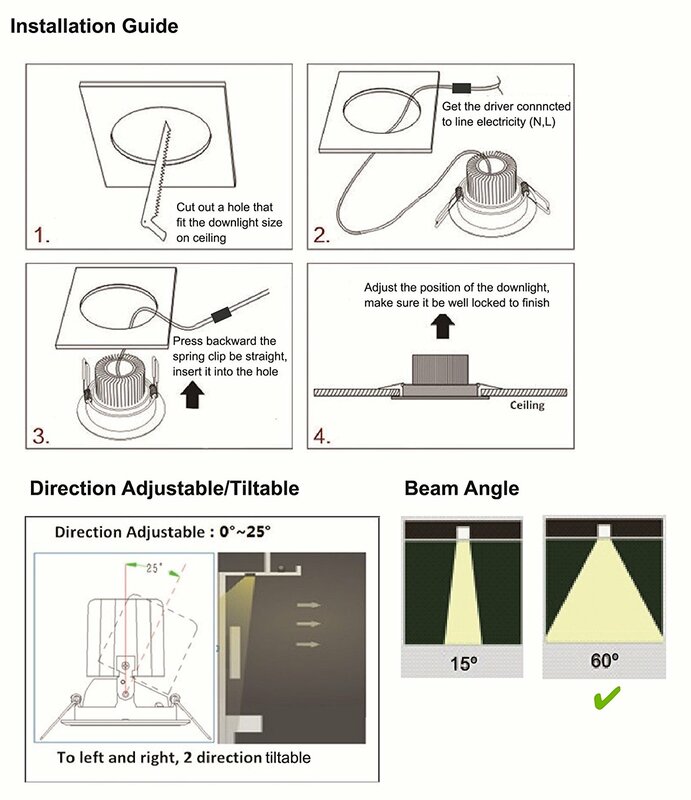 l ENERGY-SAVING: Cut down your electricity bill up to 90% by replacing 80W Halogen Bulbs with 9W LED Downlight, certified to be brighter than existing recessed lighting in your home. 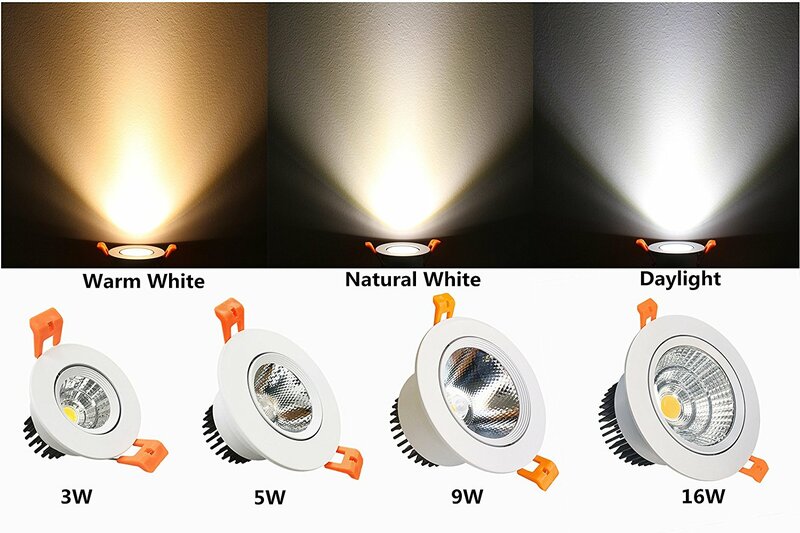 l SHOW NATURAL COLOR: CRI80+, Color Rendering Index, provides near-sunlight quality light for true color rendering and consistency inside your home, show natural color more vibrantly. 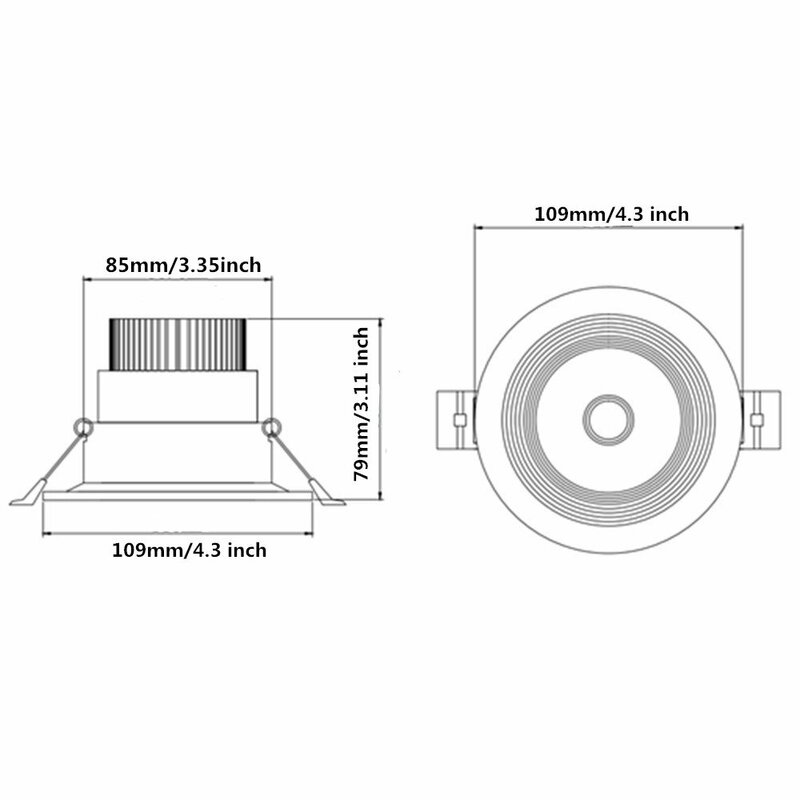 l EASY INSTALLATION: Aluminum Alloy Body with Built-in Trim Ring, high safety is no doubtly assured. It can be easily installed without using any tools. Please refer to the picture of the installation process. 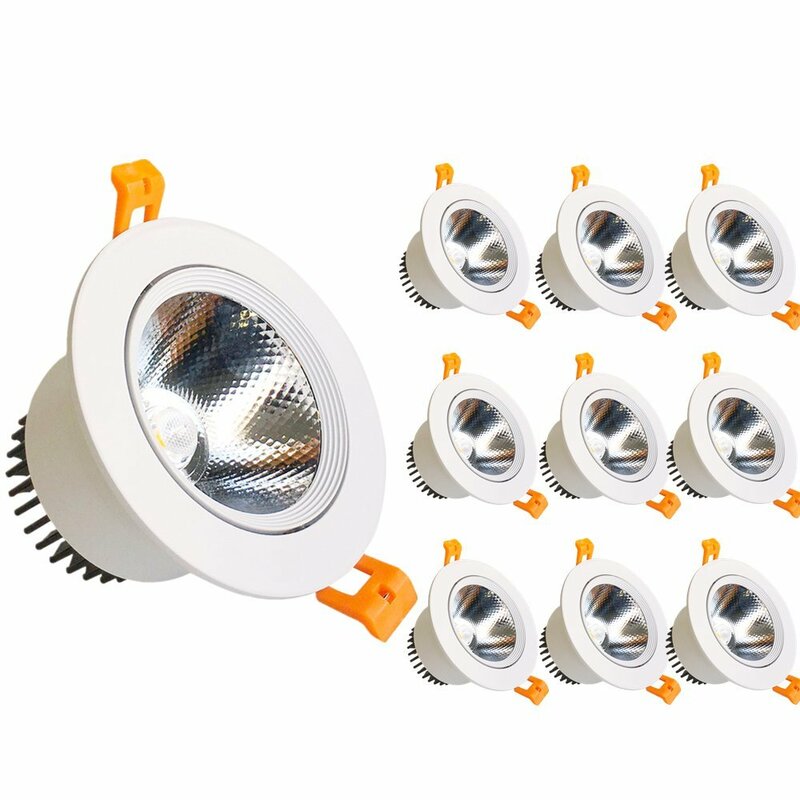 l QUALITY GUARANTEE: offer 1 year warranty, and our seller support team always stand behind our products in any way, so please contact us for replacement if you have any quality problems.